The love and passion of traditional Mexican food goes back three generations. It started with Maura Chapa Rodriguez our Great-Grandmother. She, without knowing, planted a seed of love for delicious authentic Mexican food in her twelve children, six of who later opened highly successful restaurants or worked as professional chefs. The great family recipes, special ingredients, techniques for preparing the food and love of quality have been passed down from generation to generation. 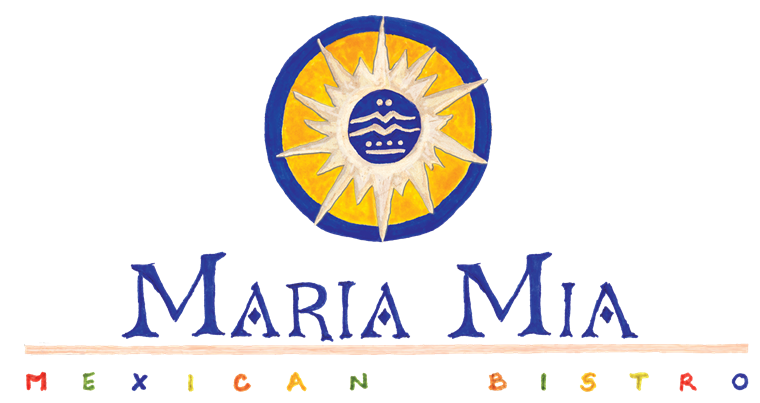 Having successfully run family restaurants for 20 years, The Rodriguez brothers, Miro Rodriguez, Jr., and Mario Rodriguez continue this legacy with their new concept/brand Maria Mia Mexican Bistro. Maria Mia is named in honor of their mother, Maria de Lourdez. Maria Mia is a fusion of the great old classic Mexican cuisine combined with innovative contemporary creations. This is also reflected in the design and ambiance of Maria Mia. Maria Mia transports you back in time with the feel of a grand old Mexican Hacienda that has been brought into the 21st Century. Delicious food served in a warm friendly environment. It is about honoring the heritage of family and looking to the future.